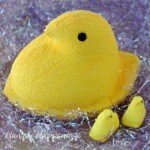 April 30, 2016 By This post may contain affiliate links. 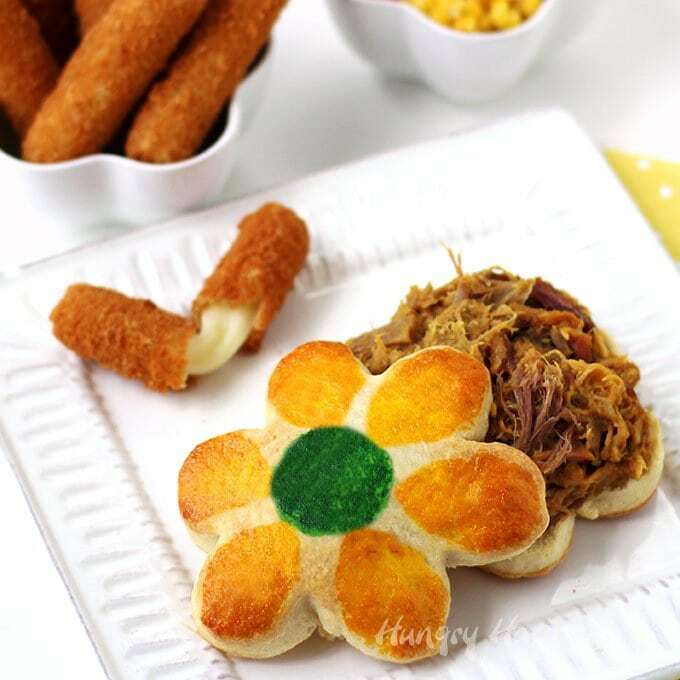 Turn soft and delicate homemade biscuits into pretty daisies for Mother’s Day then fill them with Farm Rich Smokehouse BBQ Pulled Pork, Chicken or Beef Brisket. 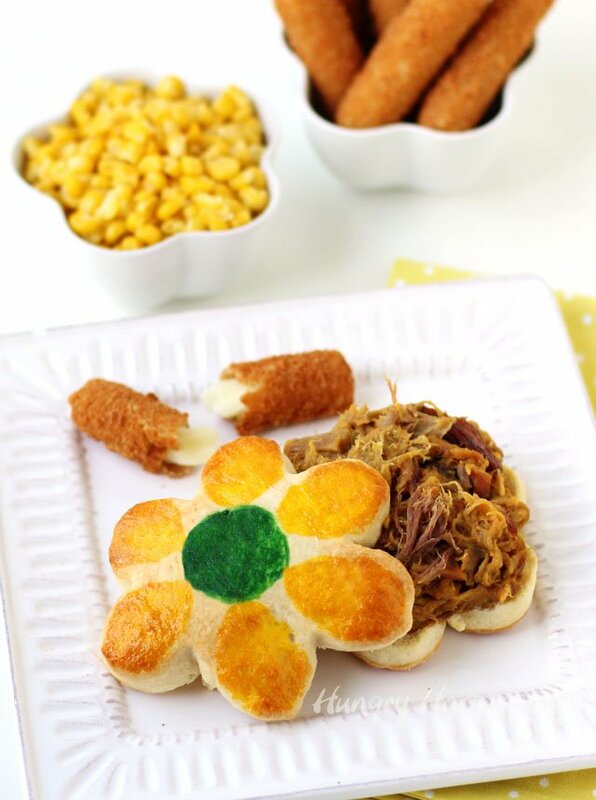 Your mom will love being served these tasty Biscuit Daisy BBQ Sandwiches on her special day. Most moms love flowers, but my mom’s world is filled with them. She’s an artist who specializes in creating the most beautiful watercolor florals. She’s written books on the subject and continually snaps pictures of new flower species so she can capture them in a painting. 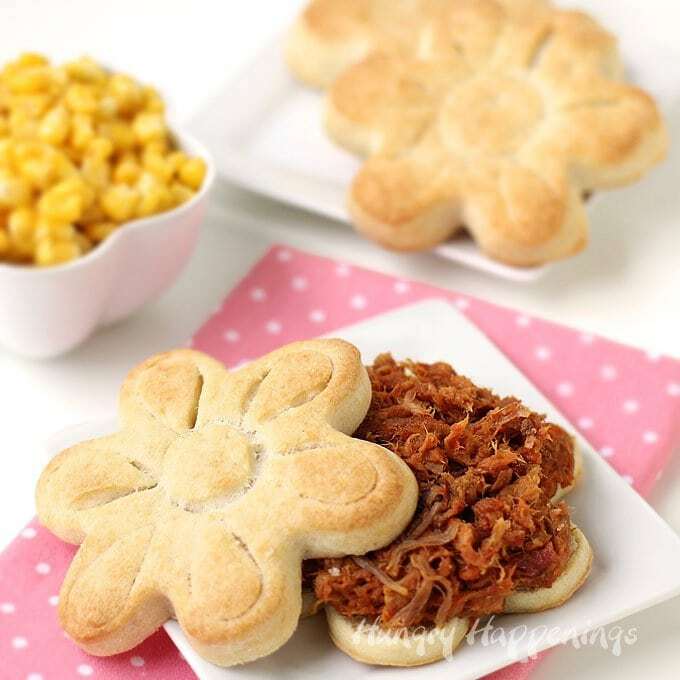 Her other love, aside from her kids and grand kids, is bar-b-que, so for Mother’s Day this year I made her Biscuit Daisy BBQ Sandwiches. It was so fun to combine two of her passions into one festive meal for her special day and I know so many moms out there would love this dinner too. 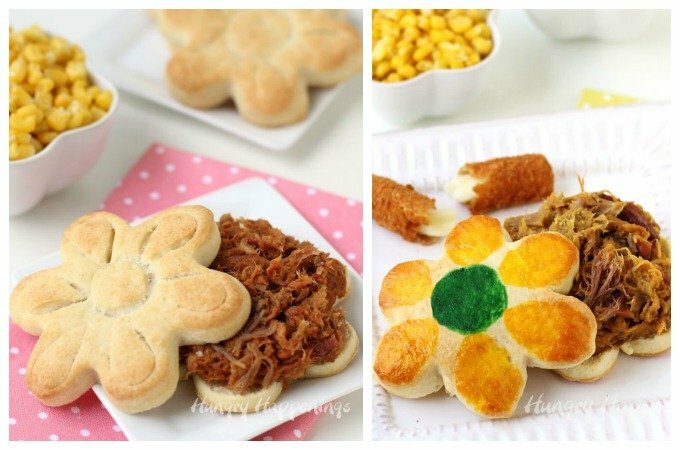 You need to spend a little time creating the flower shaped homemade biscuits, but otherwise this Mother’s Day BBQ will take very little prep time so you can enjoy more time with your mom. 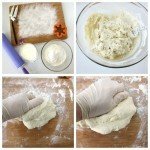 To make the homemade daisy shaped biscuits I used a quick and easy biscuit recipe that calls for cream instead of butter. The biscuits are soft and tender and have such a wonderful flavor. 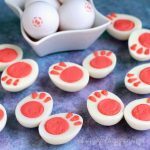 They biscuit dough comes together quickly and is easy to roll out and cut into shapes. I chose to fill my homemade biscuits with pulled pork. My mom adores smokey BBQ pork topped with lots of barbecue sauce and would be happy to eat it at almost every meal. The apple doesn’t fall far from the tree. I love BBQ too and think it pairs wonderfully with freshly baked biscuits. My mom puts her heart and soul into her paintings, spending days making them just right, but when it comes to food, she wants convenience. Anything that tastes great but is quick and easy is right up her alley. 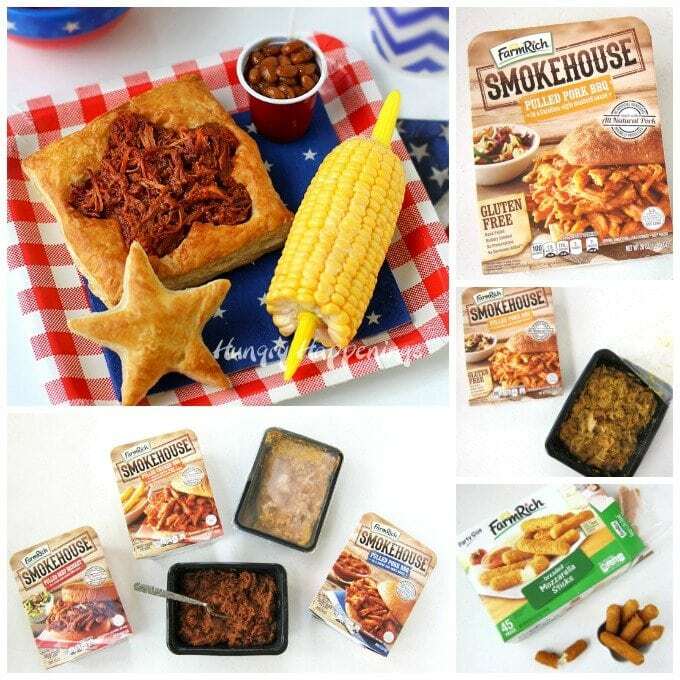 I introduced her to Farm Rich Smokehouse BBQ last year when I invited my parents over to dine on a Patriotic Puff Pastry dish and she loved it. So, I went back to the store to grab a few boxes. Being the Pulled Beef Brisket was her favorite, I planned to buy that, but it’s so popular that it was sold out. I grabbed two boxes of Pulled Pork BBQ instead, but didn’t realize that one was in a Carolina Style Mustard Sauce, not a traditional BBQ sauce. What a happy mistake to have made. 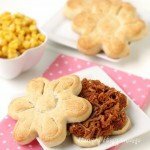 I had just finished decorating and baking these pretty yellow daisy biscuits when I pulled the pork from the freezer and noticed the two packages were different. I heated them both, and my husband came into the kitchen to see what smelled so good. Now he is not a fan of traditional barbecue sauce, nor does he like pork, but he will put mustard on anything, so he just had to try it. I made him a sandwich, which he quickly devoured, then asked for another. He didn’t have to say another word. I knew it was good. After I snapped my pictures, I tried a sandwich too. I was impressed. The sauce was unlike anything I had ever tasted, and I wanted more. I am excited to have found a pulled pork that my husband enjoys too. I made two versions of the daisy biscuits and hope my mom loves them both. One is painted with food coloring the other is simply cut with a daisy cutter and imprinted with tear drop and a round cutters. I can’t wait to share these festive sandwiches with her on Mother’s Day. Either way you make them, they look quite pretty and if you use the cream biscuit recipe below, you will have lovely soft biscuits on which to serve your pulled pork. Delicate and soft biscuits cut into daisies. 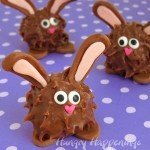 These treats are the perfect dinner for mothers day or any special spring occasion. Stir flour, sugar, baking powder, and salt together in a mixing bowl. Pour in whipping cream and stir just to combine. Pour out onto a flour dusted cutting board. Knead for 30 seconds until the dough is smooth. 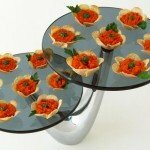 Roll out to 3/4 inch thickness and cut out daisies using a 4 or 5 inch cutter. Re-roll once and cut out more daisies. Set daisies on a parchment paper lined baking sheet. Brush a green circle in the middle of each daisy then brush on yellow petals. Or, press a small round cookie cutter in the center of each daisy then press a small tear drop cutter in the center of each petal. Cut open and fill with Smokehouse BBQ. 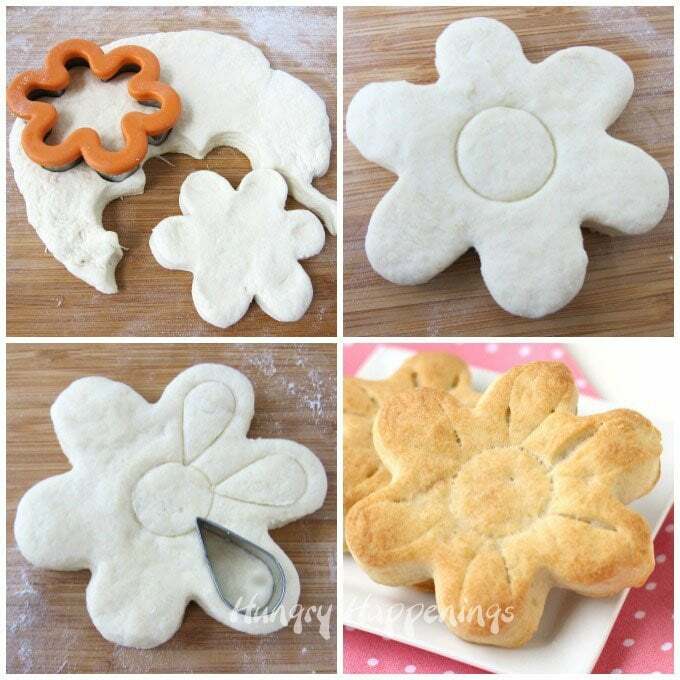 How to make daisy shaped homemade cream biscuits for Mother’s Day. 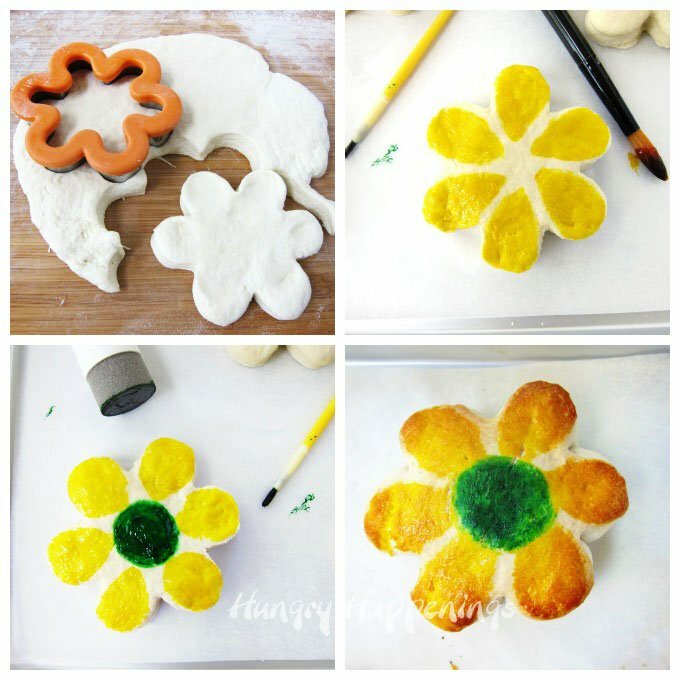 To make the pretty yellow daisy biscuits, cut the dough using a 4 or 5 inch daisy cutter. When you cut, do not twist the cutter, as this will crimp the edges and your biscuits wont rise much. Then use a food use only paint brush to paint yellow food coloring onto the petals and a green circle in the middle of each daisy. The colors will darken as the biscuits brown. If you get too much coloring on the dough, remove it with a paper towel. To make the imprinted biscuits you’ll need a tear drop shaped cutter and a small round cutter. Press the round cutter into the center of each daisy, then press the tear drop cutter in the middle of each petal. Which daisy biscuit do you think your mom will like better? 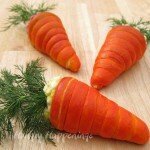 Be sure to stop by and check out all the great tips/hacks and recipes at FarmRich.com. 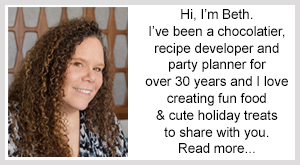 I received free product and compensation for sharing this recipe and edible craft recipe with you, but all the opinions expressed her are my own. What fun to bite into a savory flower biscuit, my mom would love this sandwich as well. 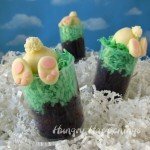 Unfortunately, I don’t have a bit of her gardening skills, I’ll just have to “grow” her flower biscuits! 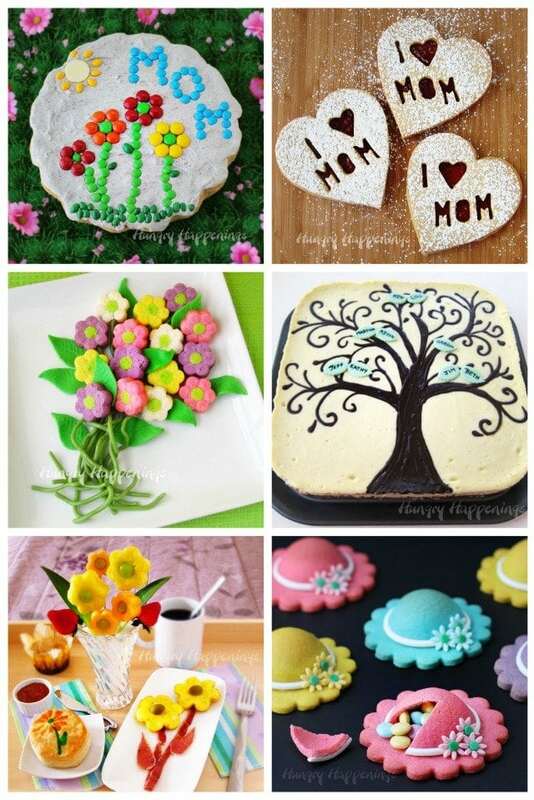 Being your mom is a wonderful gardener (farmer,) she would probably really love these flower shaped biscuits. My gardening skills are limited, too. I’d probably starve if I had to live on the food produced in my garden. It’s a good thing I can bake!